WELLINGTON – New Zealand needs to look beyond a simple sugar tax, and weigh up a tax on all processed foods. On November 7th Exercise NZ released a media statement, saying that taxes on sugary drinks is only a part of the problem of addressing the nation’s obesity problem. 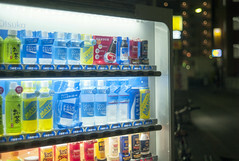 It was noted that some countries have already begun implementing a tax on sugary drinks, however, the measures have only had a limited effect on drinks consumption. The reason for the lack of success was that sugar-sweetened beverages are relatively cheap, and adding a small tax to their sale still leaves the drinks as a cheap product. It was suggested that instead of a singular tax on one type of food item, a series of taxes should be applied to a number of processed foods, with the collected funds to be used to pay for a subsidy on fresh foods. Further, it was noted that sugar taxes are often supported by experts in the exercise industry, while very few economists call for the measure.